Yes, we’re going to be celebrity judges at the National Indian Taco Championship! Between the two of us, we’ve got some interesting titles on our resumes. Sports writer, lifeguard, vice president of public relations, athletic director, lobbyist, middle school principal, travel writers, and bloggers. And now, we get to add … wait for it … celebrity judges for the National Indian Taco Championships in Pawhuska, Oklahoma! The only time we’ve had Indian Tacos was a few summers ago at the High Plains Homestead near Crawford, Nebraska. A couple of weeks ago, we were in our home office working on plans for the fall when Steve saw an email from the Pawhuska Chamber of Commerce. He turned to me and said, “Or, how about we go to judge the National Indian Taco Championships in Pawhuska?” I glanced over the top of my glasses and gave him one of those, please-be-serious looks. He just gave me a smug smile that indicated he might actually be serious. And he was. Apparently, the good folks at the Pawhuska Chamber of Commerce really enjoyed some stories and photos we posted from there earlier this summer and were excited to invite us back to town. Chicken fried steak at The Pioneer Woman Mercantile. The Pioneer Woman Mercantile building in Pawhuska, Oklahoma. 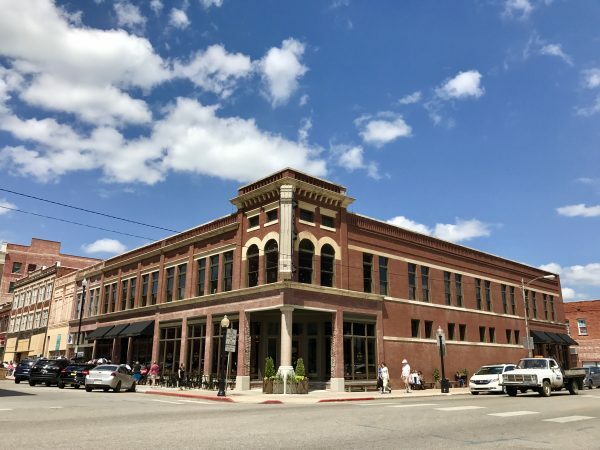 So, we’re headed back to Pawhuska, home of the frontier’s most famous blogger, author, and 16-minute meal maker, Ree Drummond, otherwise known as The Pioneer Woman. 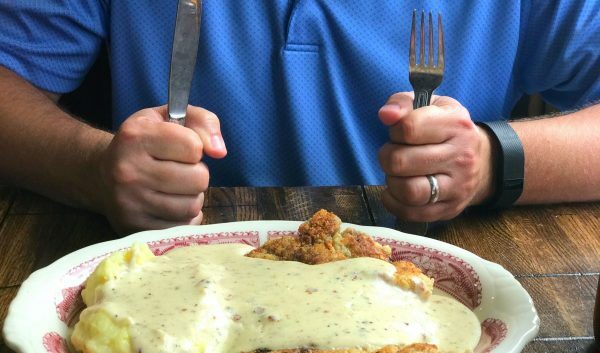 As you may recall, this summer, we spent a couple of days in Pawhuska visiting The Pioneer Woman Mercantile and sampling everything from homemade sticky buns and cinnamon rolls to queso dip and chicken fried steak. Steve wrote a great piece about “Six Reasons You Should Take Your Wife to The Mercantile” and apparently, we picked up a few new followers in Pawhuska because of it. 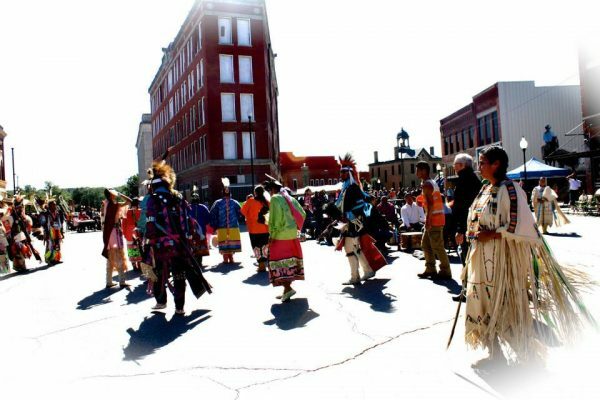 This time around, we’re planning to visit some of the many other attractions in and around Pawhuska and we’re super excited to see more of Osage County as we ride with Casey from Roaming the Osage Historic/Scenic Tour. And we can’t wait take part in this one-of-a-kind food festival, which last year drew more than 4,000 people to the town of 3,500. The National Indian Taco Championship in Pawhuska was awarded the 2015 Red Dirt Report’s Best Food Festival and 2016 Merit Award for Outstanding Event at the Red Bud State Tourism Awards. Photo courtesy of Pawhuska Chamber of Commerce. The day is jam-packed with food vendors offering samples or full plates of Indian tacos, each serving up their own rendition of the popular fry bread-based meal and many with a secret ingredient or two. 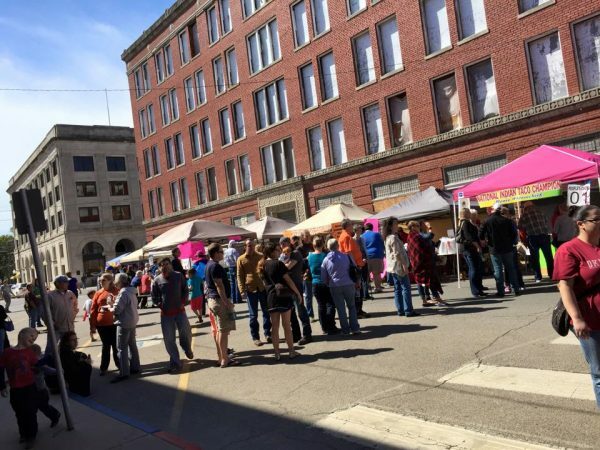 Nash said the event is from 10 a.m. to 4 p.m., Saturday, Oct. 7, and people are encouraged to roam up and down the street tasting varieties of Indian tacos at each booth. There will also be a Powwow dance competition with several divisions and lots of other things to see and do. As for the National Indian Taco Championship, there will be preliminary judging beginning at 10 a.m. before we join other celebrity judges for the final round in the afternoon. Nash said judges will given samples of the Indian Tacos but she advised because there are so many to taste, it is best to not try to eat the whole thing. Having never judged an Indian Taco contest (or any kind of food contest for that matter) I asked the chamber director if she had any advice for us. 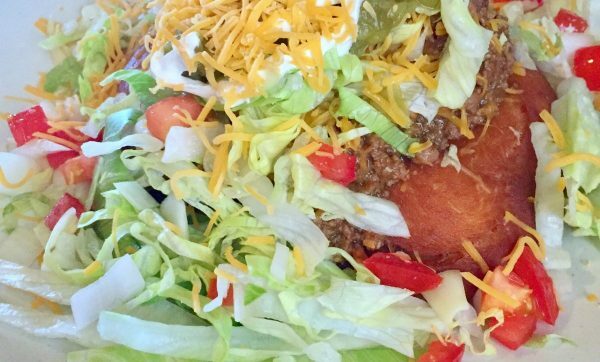 Have you been to the National Indian Taco Championships? Let us know. We’d love to hear from you. No, I’ve never been to Pawhuska or the Indian Taco contest but I LOVE Indian Tacos! We can’t get them here in Georgia so we always enjoy them when we travel west. What fun to be able to be a judge at the contest! They were absolutely delicious! This contest should be on everyone’s bucket list! Good for you guys being picked. Sounds very interesting. Thanks, Mary! We are very excited to get to have this experience and can’t wait to share all about it! How awesome is that? Can’t wait to hear more about it! Pretty awesome! Thanks for following along.